Right before vacation started, the Trading Post Guild, which I belong, had a trading event, of which I participated, of course. But, as timing would have it, we left for vacation before all my trades arrived. So, this morning, made the run up to the Post Office to collect all the mail. It was like Christmas (since I put all the bills in Beau' stack) ... three trade packages and some books I'd ordered from Amazon. A colorfully elegant necklace and earring set from Nancy's Gift Gallery . A set of beads from The Joyful Gem, which includes a focal bead with very wire wrapping and four accompanying beads. I thought at some point in the future, I'd turn this in an upcoming gift for one of m giftee's. And from Christies Cubby, an anklet and necklace for my future daughter-in-law. She's is going to love these ! Christmas in February ... what fun. We collected our stuff and were very politely invited to leave the ship at 8am. We grabbed a cab and headed on down he road to the hotel where we'd left our car. Although I was never concerned about the car's safety, it was great to come around the corner and see it still there. 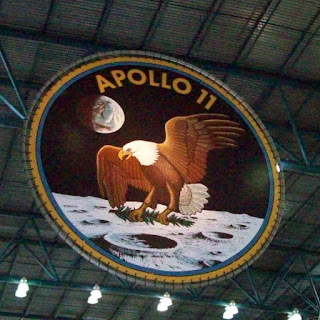 Nasa was our next planned stop. 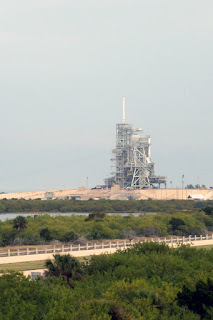 On Sunday we'd heard that the Nasa Shuttle Launch was rescheuled to Moday night nd we had grand hopes of seeing it. On the road again .... stops for lunch, books at Barnes & Noble and a so-so dinner at Olive Garden; another night in the favored Comfort Inn. Oh, we missed the shuttle ... it went off at 4:28 a.m. ... although dark, still a different interpretation of night launch. 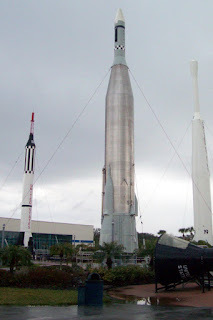 We headed into Nasa, Port Canaveral right after opening and paid our $39./ea. admittance. This sweet group of birds met and calmed us after getting through the whole security routine. 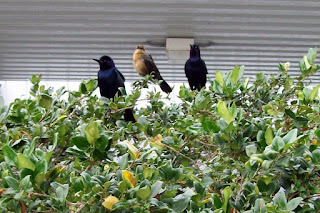 NASA is surrounded and part of a wildlife sanctuary and there are birds everywhere. There's also several sets of nestings eagles. Our shuttle bus made a stop to show us a 700 pound eage nest . WOW. 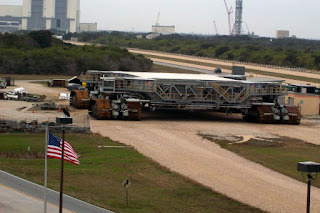 A crawler that moves the shuttles through the facility and to the launch pad. For some scale, a very tall personwul not even reach 1/3 up on the wheel. 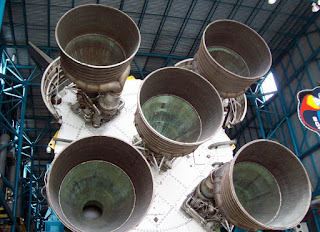 The jets on the bottom of a previous shuttle. These are HUGE. 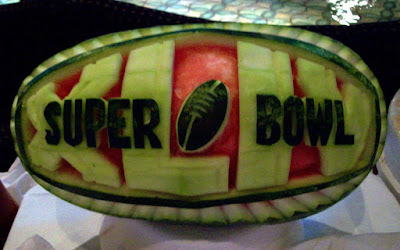 For a graphic standpoint, I particularly loved the textural quality. 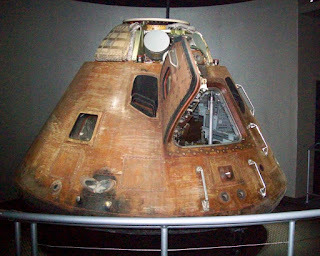 These are hand imprints from the Apollo 11 astronauts. 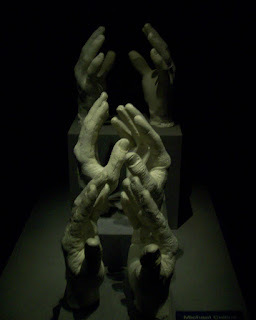 The display, I'm sure, was to point out how small there hands are, but the visual is a piece of art in itself. Contained here at this facility is a marvelous amount of history, displayed wonderfully. There's alot of interactive qualities and it takes a whole day to experience. It started raining around 3pm and we moved in from exhibits and watched one of the Imax films. At 5:30, they called it closing and we had to leave. I'm not a huge space fan. I recognize all the ways that it has benefited our current society and all the potentials that further studies and exploration are, but still find the amounts of money being spent in a time when we can't offer all our people health benefits quite upsetting. The ship arrived Belize (a tender) about 7am this morning. We had planned on taking a 3.5 hour snorkel trip at noon, however, we are great procrastinators ... kept saying that we'd book the excursion when we got back to our room, but didn't. Went to sign up at 11pm last night, but to late .... oh well ... next time. 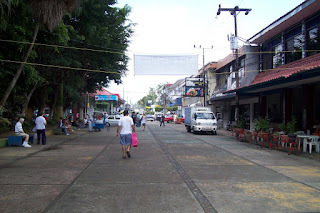 So, instead, mid-morning we took the tender to the tourist section of town (the ship agents have implied non-tourist areas should not be considered safe) for abit of shopping (which we would have done after snorkeling anyway). 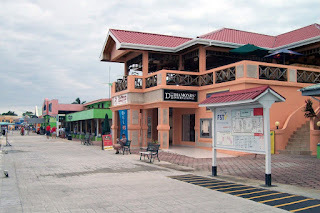 We always purchase prescription drugs in Belize (just like Cozumel). A prescription is not required and the cost is a fraction our cost in the U.S; considerably less than our insurance copays. Also purchased a bracelet for our sons' upcoming birthday, as well as cool (change color in the sun) t-shirts for Lilly and Mary and some special Rum for BIL. Finished it off with a couple drinks and nachos in one of the local bars. This is a very protected tourist area right off the pier. 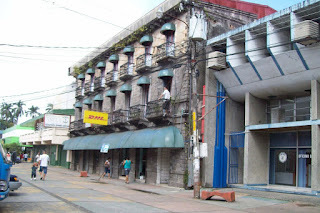 We took a city tour a couple years ago and this is a poverty ridden area of the world. Not a big stop, but always nice. 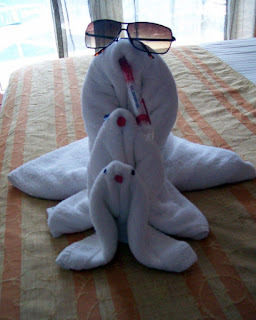 This is the last port on our cruise. We'll spend tomorrow at sea and arrive back in Fort Lauderdale on Monday morning. One of the many great things about cruising is you can get from one place to another with absolutely no effort, while you are eating, drinking, having fun, sleeping, etc. (Oh, and no extra luggage charge). Yesterday Panama, today Costa Rica. 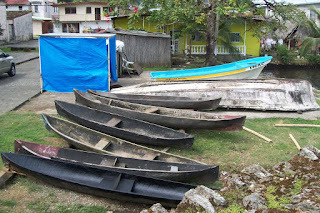 Although there were quite a few interesting tours offered, most were quite physically challenging (rain forest hikes, swinging through trees, kayaking, etc and I'm just not in good enough physical condition to partake at the moment. So, we slept in (ya right ... not with my awake at 6am husband), until 7am, had coffee delivered to the room and lounged on our patio. Later, once the tours had cleared out, we went ashore and walked around abit. 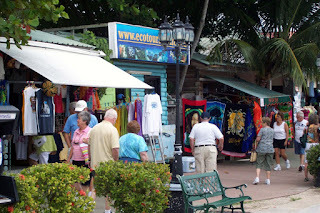 The first block off the ship is largely the tourist shop area with the T-shirts and other gawdy items, then, the next block up starts their community market shops ... clothing, furniture and all the usual and necessary stores. 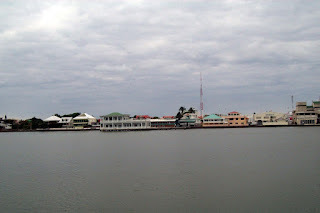 Although a number of cruise ships enter this area, it does not appear to be a tourist town. It is much cleaner than Panama and the people are very nice. Interesting enough, the cultural has not changed to the electronic age of the United States. 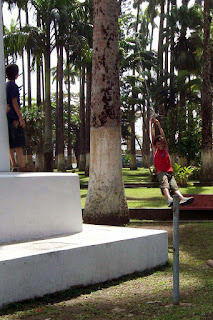 We saw plenty of children playing outside; some helping parents, and an almost complete absence of cell phones. What a refreshing thought ... a society where you talk to the person standing next to you versus calling someone somewhere else. It is very hot and humid here ... like New Orleans in August. So, after only two hours, we headed back to the ship. 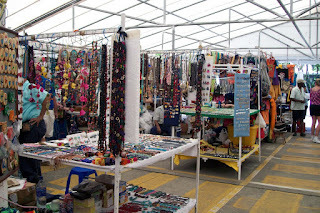 To get back to the ship, we had to pass through an artisan arts and crafts section where many locals were hoping to sell their wares to the 'perceived' rich people on the ships. We spent a good hour looking over the items. I found several artisans putting together jewelry who, although were not working with high quality gems, had excellent wireworking and chainmaille skills, selling in the $8 - 20. category. 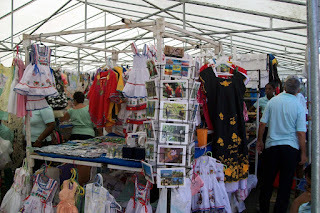 There were also a number of seamstresses offering handmade little girl dress in the $8 - 10.00 range. At first I was thinking they were greatly underselling themselves (you know, the general Etsy or Artfire conversation about selling your work too cheaply), when it dawned on me that this was not necessarily correct. Perhaps the true answer is economics. A jewelry artisan here in the States expects at least $10 - $15/hour for the labor, plus materials, whereas an artisan in Costa Rica would value their labor more in the $2 - $3. range. Are the skills or abilities different (for the particular level of work); well no. Perhaps it's simply economics. I purchased a really nice set (necklace, bracelet and earrings) for $20.00 which I'll be saving to give as a gift at a later date. Then back to the ship for R&R and all that other stuff. We docked In Panama at 8am and had paid for a tour at 8:30. To meet this, Beau set up a wake-up call for 6:30 to give us time to eat breakfast and arrive in the designated spot, early. 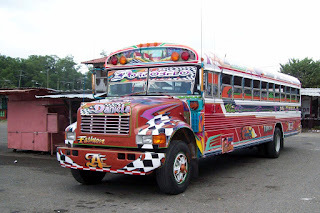 We were rounded into a group of about 40 and assigned a bus. Our guide, Archie was humorous and knowledge and led us on a great tour. First bit of trivea is there are no stop signs or traffic signals. The law of the land is 'whoever is the largest gets the right-of-way'. Although a bit frightening to us stricken U.S. folks, it appears to work just fine; we saw nary an accident. We traveled into the countryside, receiving whimsical history each mile. The bars on the windows in the countryside are to keep out animals (mainly monkeys and extremely large reptiles), versus bad guys. 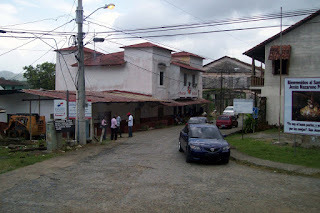 The countryside is beauiful, housing ranges from very nice (in US retirement areas) to third world in appearance. Medical & prescriptions are free. Prison costs 50 cents/day to cover food. If you don't have the money, your family can bring you food each day If you don't have family (or they won't bring you food), you starve. There is a cemetary next door. 1st stop was Portbello (yes, just like the mushroom). We visited a very old church, town area and fort ruins. We learned that Captain Morgan (you know, the rum guy) was a very bad man (he kidnapped nuns and made them walk in front of the prirates through the mountains so natives would not kill them, then, killed them himself when they were no longer needed ... See if I ever buy his rum again !). 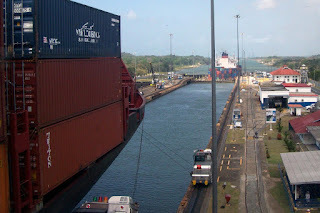 2nd stop was the Panama Canal, and the reason that we went on this tour. 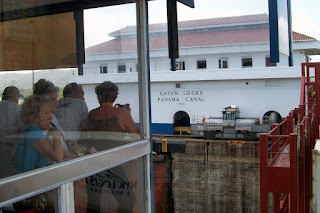 Several years back we took a cruise that went through the Panama Canal, where we saw the operation from the inside, out. We wanted to also watch it from the outside in. I'll not bore you with all the details, but absolutely fascinating. Panama is working on building a second canal for ship passage. Ships are growing larger every year and the super tankers are becoming such a size that they cannot pass through the locks. The number one commodity here, is actually a natural resource ... water. 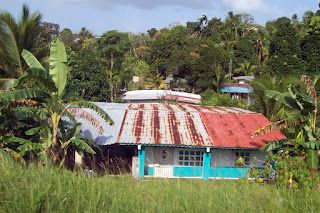 Panama is largely a rain forest. The water from the rain forest is required to run the locks in the canal and they are take all steps needed to maintain the forest as their growth, population and economy depend on it. 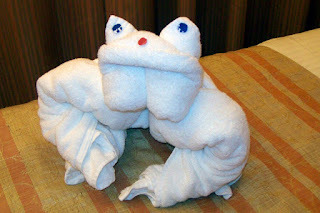 Then, back to the ship for more of the usual ... sit in the hottub, read by the pool, dinner, a comedy show, a little time in the casino and actually, went to bed early. All this fresh air is wearing me out. 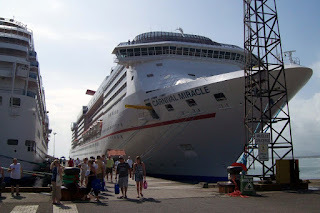 Our booked ship, the Carnival Miracle, was delayed a couple hours due to a minor mishap in St. Kitts. This meant, that instead of all us passengers arriving and boarding over a three hour time span, all 2000 of us were all standing in one very long line when they began the embarkation process. I must give them credit, however, the checked us, passed us through customs and got us on the ship in great timing and we sailed only an hour late. 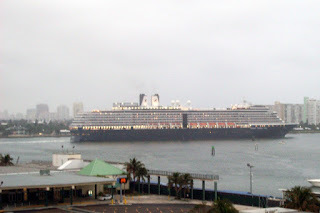 There were 8 ships in the Port Everglades dock; a big vessel parking lot. Around 5pm, we all began our journey out, spaced every 15 minutes or so. The wind is blowing hard (someone said 24 knots), the waters are rough and there's a slight drizzle. This is the ship that departed right in front of us ... I wish I could have gotten a decent picture of us all in a row ... big ship rush hour. Days at sea are fairly consistent and can easily blend one into the other. Scattered between breakfast, lunch and dinner are activities, shows, three different pools, a casino and variety of bars and countless activities to keep one occupied, should they be so interested. 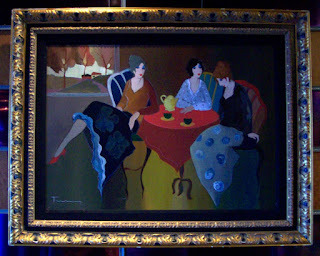 One of my favorite activities is wandering the ship looking at the art which adorns the walls. We were introduced to the works of Itzchak Tarkey. 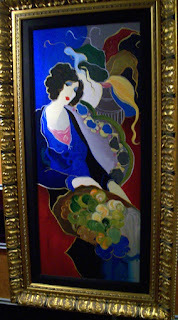 I love his bright, luminous colors and touch of whimsy. His works would look most incredible in my home, however, this level of talent far exceeds my budget at this particular time. 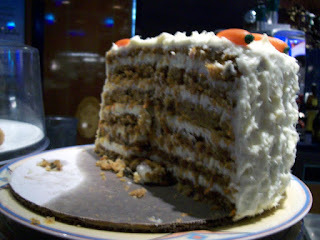 Each night, after dinner, we like to go to the main lounge to see whatever is the show and then stop by the Karaoke lounge and Piano Bar for a drink to two. 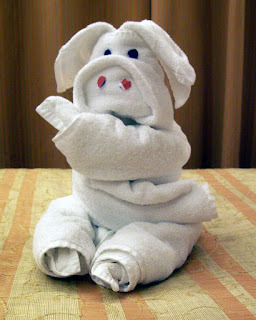 Then, back to our room, where the room steward leaves us a couple chocolates and one of her towel sculptures.